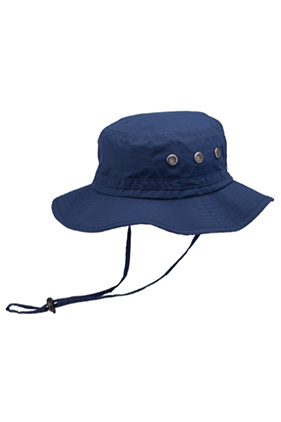 Apparel Collections - Peter Grimm "Lachlan"
100% ripstop nylon, crushable boonie style hat. Metal eyelets. 2.5" brim. Chin strap with plastic tab adjustable closure. Can be decorated with a custom patch, screen printed or embroidered.